Moroccan doors, often set into arched doorways and surrounded by intricate tile work, offer an insight into another world. They are a fascinating reflection of craftsmanship. 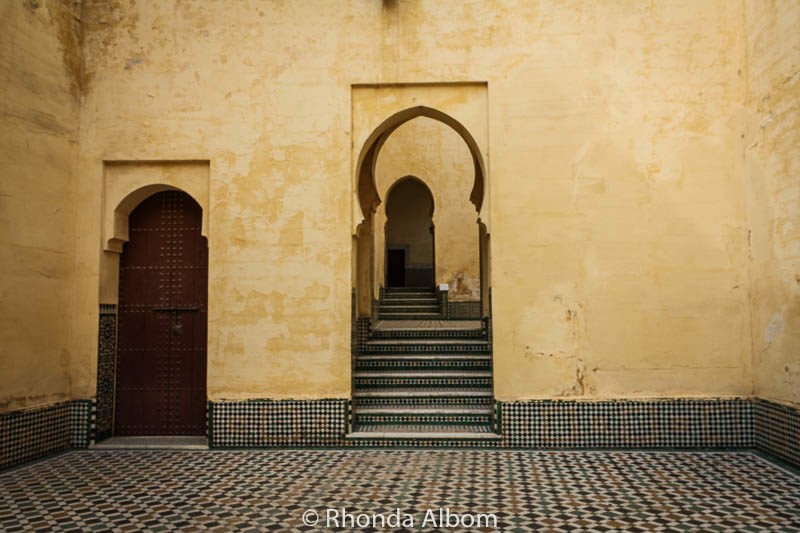 The recurring archways in Moroccan architecture give it a distinctive look, one that is easily recognizable, despite the variety of arch shapes used. 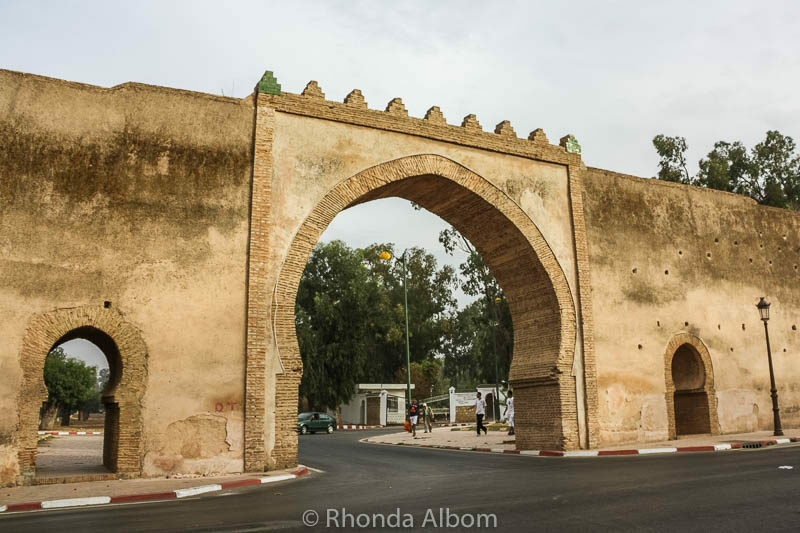 Take a look at this image, with three different Moroccan archways shapes amongst four arches, while there is only one Moroccan door along the wall. Add the repetitive pattern in the tiles and the solid colour textured wall and the look is inarguably Moorish. A look at local life through an arched doorway. 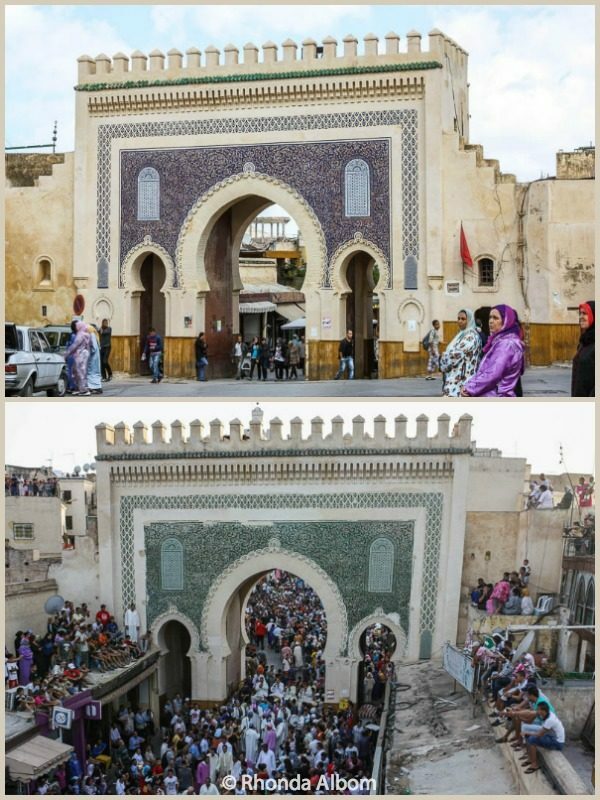 The Blue Gate in Fes is the main entrance to the old Medina. It is blue on the outside, green inside the Medina. 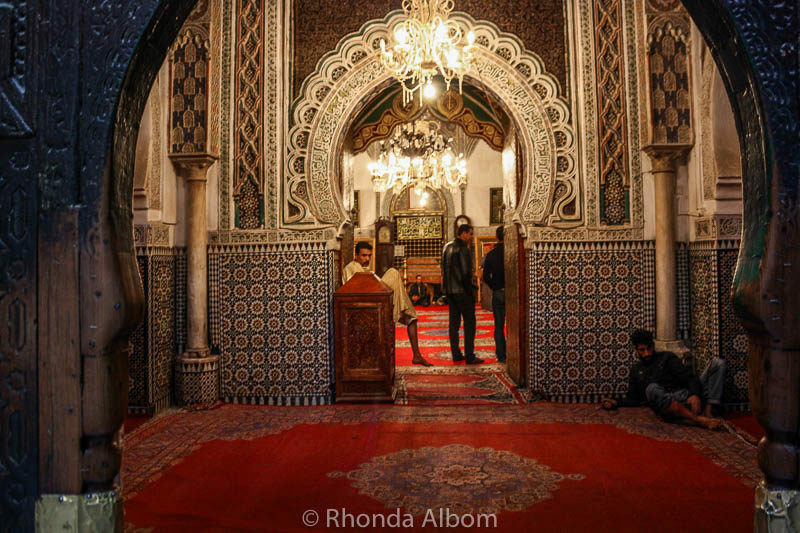 The Moussem of Moulay Idriss II Festival is featured in the second photo. 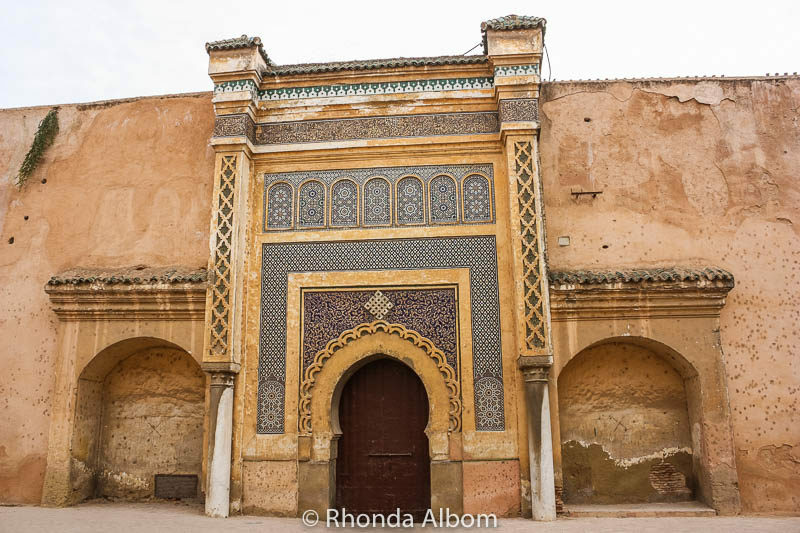 A closed gate along the Medina wall in Meknes. 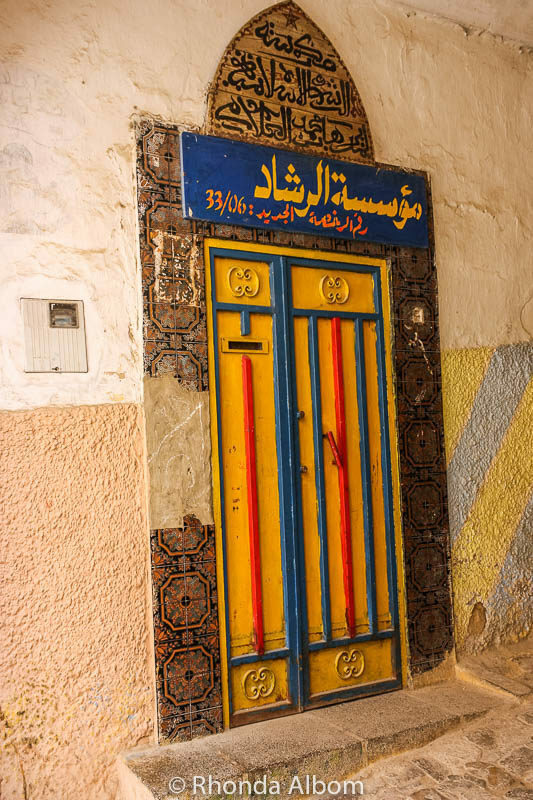 A colourful door to a Koranic school for both girls and boys ages 3-5 in Meknes. An open archway in the gate to the old city of Meknes. The bank, sitting just outside the Blue Gate in Fes. 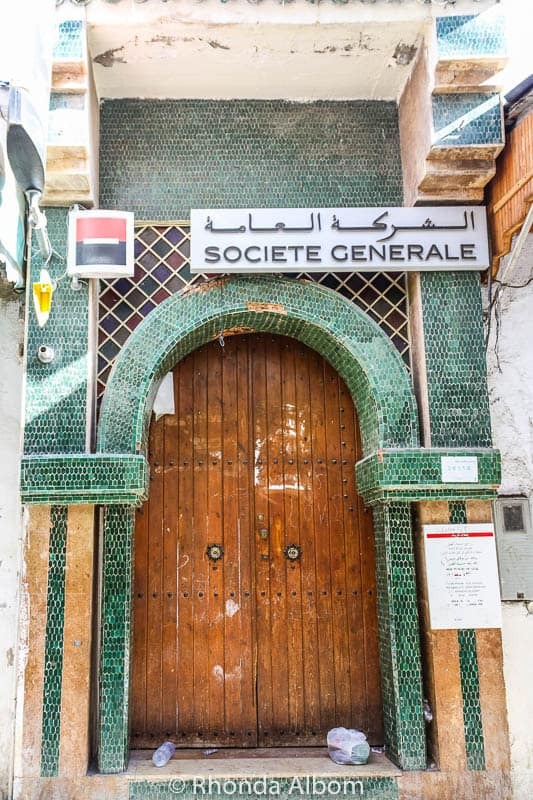 Many Moroccan doors or surrounding arched doorways feature intricate tile work. Our girls give a bit of perspective to the size of these massive Moroccan doors at the tourist office in Meknes. The call to prayer resonates off the walls, and the door to the mosque is open. Moroccan doors are often oversized and intricately patterned. Blue colours are commonly used on doors as represent the sky, heaven, water and the planet Mercury. Blues range from a greenish turquoise to dark indigo. Originally designed for stability and structure, Moroccan arches are now more commonly decor. The horseshoe arch, also called keyhole arch, is one of the most commonly used shapes in Moroccan architecture. Arches are used in nearly all Moroccan homes. If you carry an expensive camera, you will draw unwanted attention and probably spend more in every purchase negotiation, as you have advertised your wealth. I shoot with an Olympus OMD Em5 Mark II. Aside from its smaller size being easier to carry, it also appears to be less valuable. Do not take photographs of military activity or sensitive political sites. Also do not take photographs of policemen, soldiers, embassies, official buildings, or even convoys of limousines. The laws on drones are quite restrictive. You are required to obtain permission from the Moroccan Civil Aviation Authority to fly a drone in the country. Respect privacy. Ask permission before taking photos of people. Many Moroccans don’t want to be in photos. Use gestures if you don’t speak the language (Arabic or French). Their response is usually clear. Carry small currency with you. In many tourist areas, especially Djemma el Fna in Marrakesh, locals make a living posing for photos, for payment (10 dirham seemed to be standard when we visited). If you prefer candid shots, a zoom lens from a distance can be used, but isn’t considered to be polite. Find an interesting background, heavy with foot traffic, and set yourself up somewhere in the distance. Be patient and wait for the shot. If you are not comfortable asking permission, a tour guide can often help break the ice. Use a licensed guide. We have found Viator guides to be knowledgeable, reliable, and safe. Vivid and colourful, Morocco is a photographers paradise. We have travelled by train to Fes, Meknes (and Volubilis), Rabat, Casablanca, and Marrakesh. We have driven a loop in a rental car from Marrakesh west to Essaouira, then east to the Sahara. Plus we used a private guide to take us from Fes to Chefchaouen, the blue city. 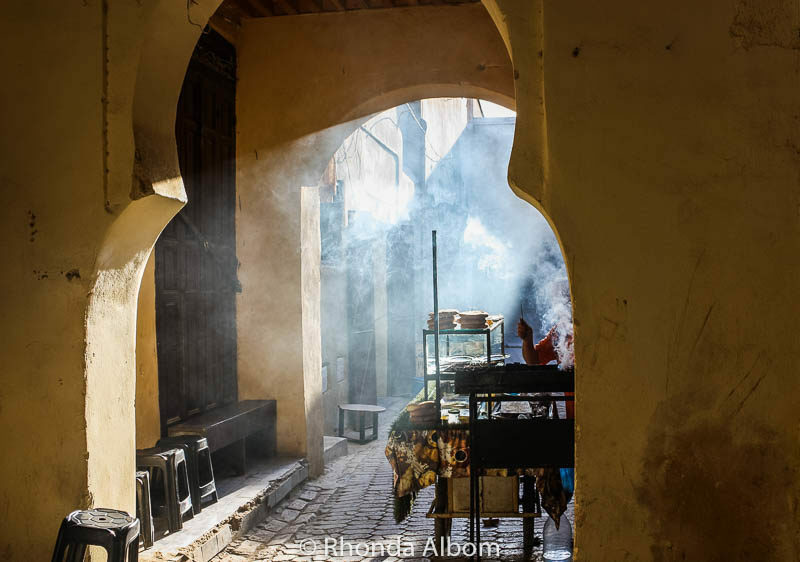 If you are headed to Fes, Meknes, or anywhere in Morocco, don’t forget to pick up a copy of Lonely Planet’s Morocco Travel Guide. It won’t help you find Moroccan doors, but it will come in handy for the rest of your travels. 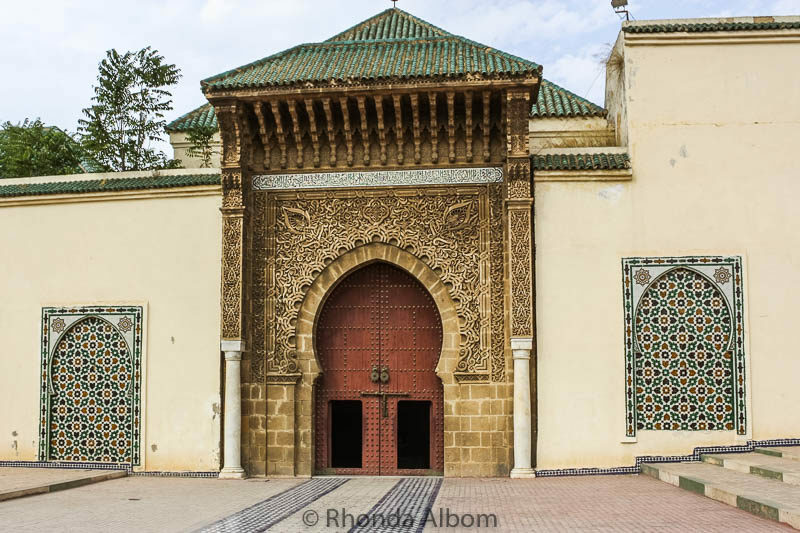 Are you a fan of Moorish architecture and Moroccan doors? Do you photograph arched doorways? 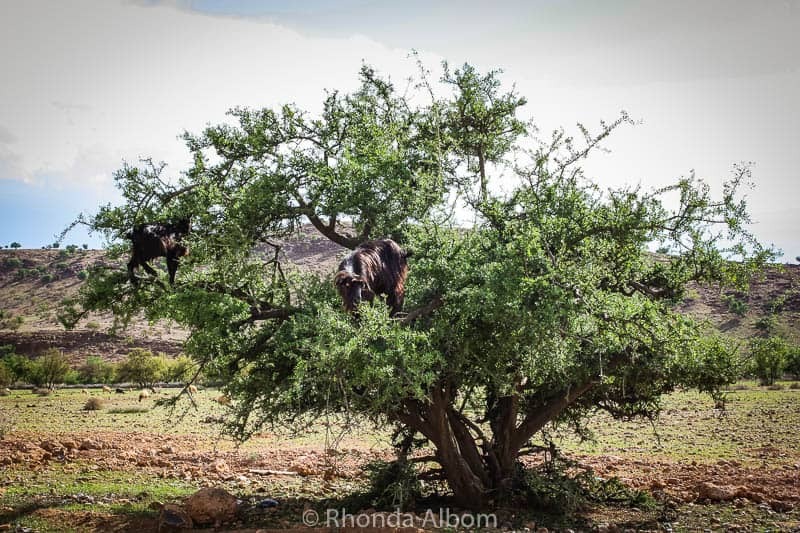 There is so much to see and capture in Morocco. Doors and arched doorways are only a small part of the opportunities for the photographer. 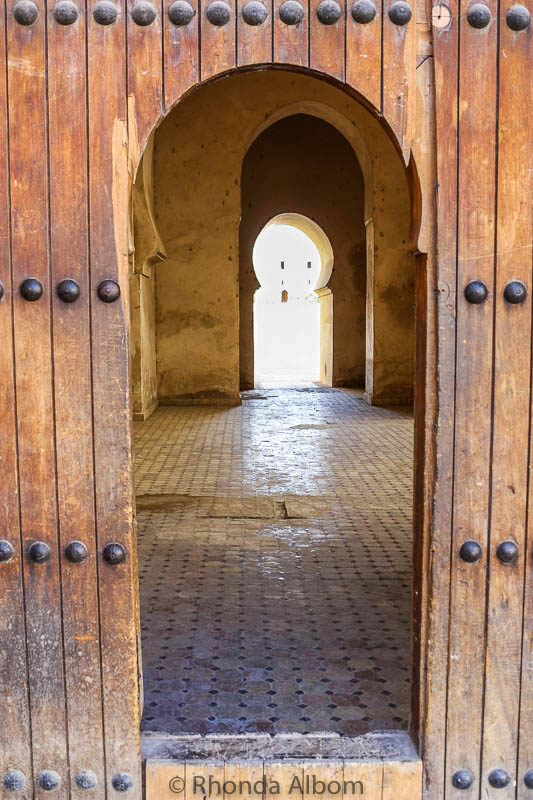 We do love Moroccan architecture, and the doors and arches are a big part of that. They are truly iconic, but from what we’ve seen, the whole country seems to be super photogenic. Can’t wait to visit ourselves! Thanks for sharing on #TheWeeklyPostcard. I loved photographing my way through Morocco. It is very genuine. The Moorish influence is throughout the region. Hmmm the style reminds me of some of the architecture I saw in Seville, I guess that’s the Moorish influence? I’d love to visit Morocco someday! Do visit Morocco. I saw the architectural influence from the Moors. Check out La Mezquita to see the church inside a mosque. Very beautiful. What a wonderful place. I am in love with the Moorish architecture. You want to believe all these beautiful doors hold something mysterious and exotic behind them. Though they probably just hide normal homes and businesses. i can see why you took so many photos. I agree. In my mind, they are all passageways to somewhere exotic. I agree. I don’t want to offend anyone, and I don’t like being told off by security. That’s one of my favourite photos too. Nice pictures! We’ve never been to Morocco (despite we live in Barcelona… really close!) but is high in our bucket list. Hope that we can manage to visit this beautiful country soon. In the meantime we can have a look to your amazing pictures. Thanks for sharing in #TheWeeklyPostcard. We flew from Barcelona to Fes when we went to Morocco. I am not sure why we didn’t cross over when we were in South of Spain, but we did a loop instead. They have a very distinct shape! Very “Moroccan”. True, and I love the way it looks. Love the doors and am glad I found another shutter-bug who takes as many photos of them as I do. Fabulous post. 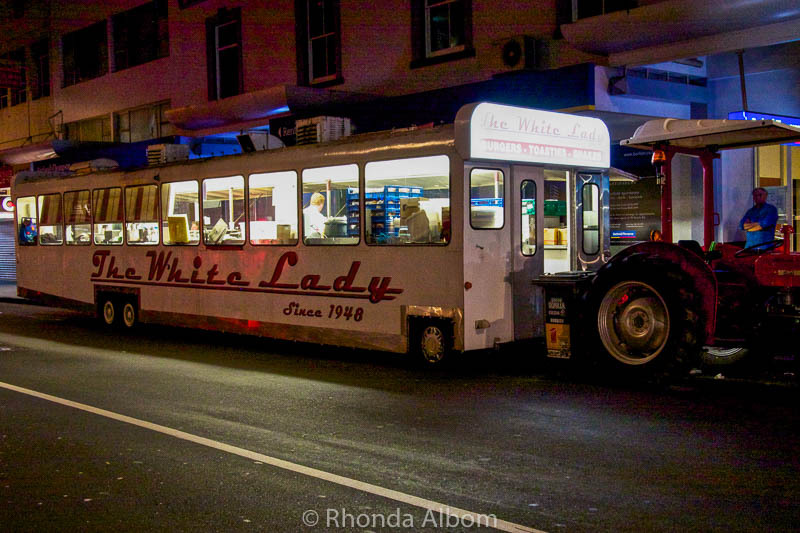 I could almost smell the food being bbq-ed in that last photo!! Yes, I love doors and window. I have hundreds of shots. Absolutely beautiful! Such amazing shapes and colours… though it does sound like it might be a little intimidating to take photos. It’s easy to take photos. Like everywhere else, you just need to know what is okay and stick within the guidelines. I always thought they looked like Keyholes in a giants house what about you? I never thought of it that way, but I see it now. What a great collection of doors, Rhonda. I am a great fan of Moorish architecture and Morocco seems to be quite the place to see that. Your photos are spectacular! Thanks Anda. I also love the Moorish architecture. Morocco is the perfect place to find it. 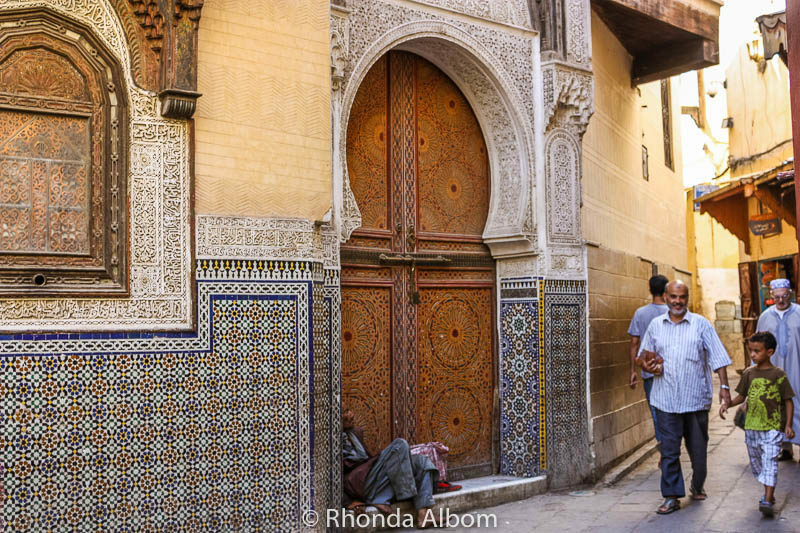 Beautiful Moroccan architecture and doorways! Thanks! Everywhere I turned there were interesting doorways, windows, gates. I just love the Moorish Architecture. You could say I’m obsessed with old doors of all kinds. Me too. I just take tons of door photos. This is AWESOME! I love the theme since I have a weird obsession with doors, gates, entrances, etc. because they tell you soooooo much. I agree, and I share your weird obsession. I always love unique door shots and Morocco sure does have some gorgeous doors! Great tips about taking photos, I’m currently searching for a camera and may try the Olympus. I am so happy I switched to mirrorless from DSLR. The lighter weight makes such a difference when we travel. Hi Rhonda. 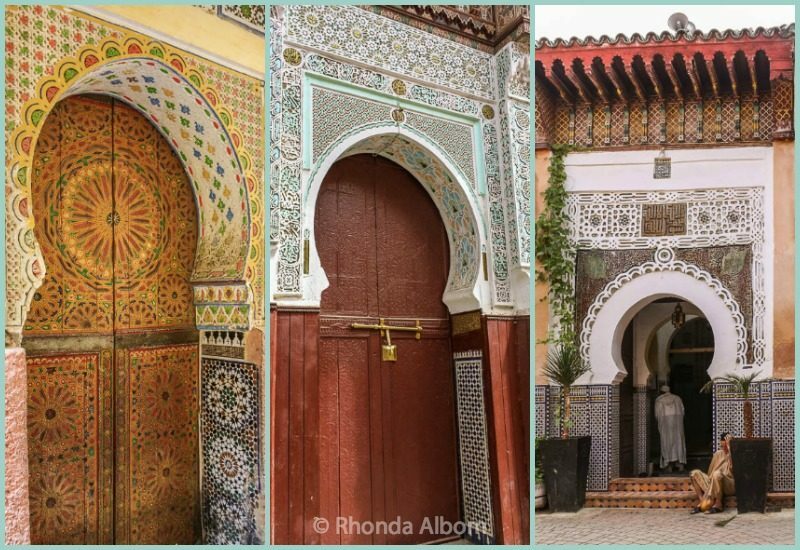 What a wonderful collection of Moroccan Doors and Doorways. They are all beautiful but I think the most alluring is the half vision of a BBQ through the last gate with the atmospheric smoke. It makes me wish I was there. If you could smell the BBQ, you would really be drawn to it. The doors through a door are my favourite too. What a great round-up of doors! So interesting with the unique arch. Interesting fact that some people make their living posing for photos, I had no idea. Those people have something special to offer, some are snake charmers, water distributors, monkey handlers, etc. I’m a huge fan of Arabic styled doors and windows. They always make for the perfect photo op. This post makes me want to go back to look at all the window and door shots I took at the Alhambra in Granada a few years ago. I agree although the narrow streets make some of the shots quite challenging. So ornate, some of them. Beautiful!! It’s a craft skill that I hope never gets lost. I find the contrast between the rich architecture and the people lying in doorways very striking. I wouldn’t want to make assumptions, but the people do seem weary and look as if they are taking shelter – perhaps because they have nowhere else to go. I always thought they were just waiting for the place to open. But I have no idea. We have been to Oman, it seemed cleaner in general than Morocco, but I love the doors and archways there too. I love these doorways!! Your pictures of Morocco make me want to go there. The little one loves reading Aladin, so I guess can tell him we are going to Aladin’s home. Haven’t you been yet? We flew to Fes from Barcelona when we went. I love Morocco. Even the simple ones are quite beautiful. They sure have a lot of rules about things. I’m glad you all had a great time. Most places have a lot of rules, people just are used to them and don’t think about them any longer. Great photos! Love the doors! Love the photos and the doors – and the snatches of people in them living everyday life also. I do like to get behind the scenes and not just see what the tourists see. This is such a wonderful post. 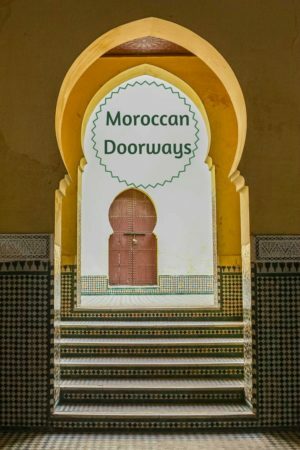 Those beautiful doors and archways are exactly the reason I would love to travel to Morocco. So many photo opportunities. You also gave some great photography tips, which I will share with my sister who is travelling there soon. 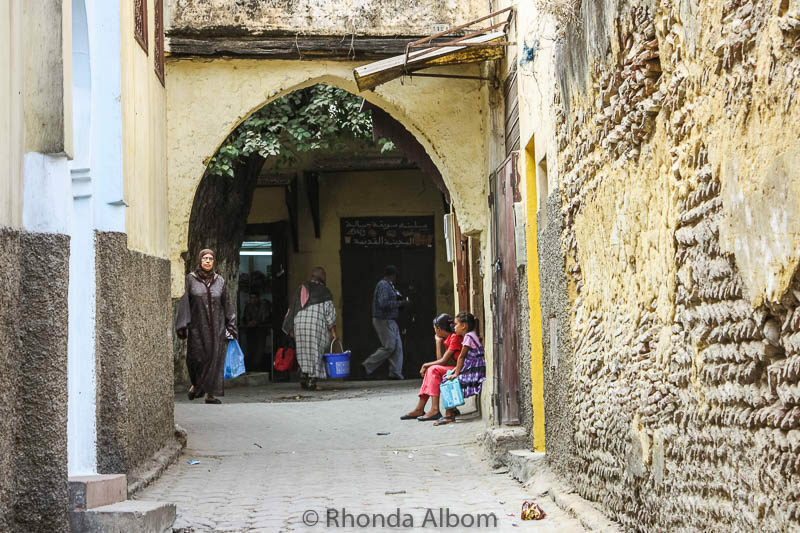 Morocco, like so many places in the world, is a photographers paradise. So many colours, shapes and textures. And the food is fabulous too. Yes, I love the architecture, especially the doors. Such interesting photographs! I love to travel and learn of other lands and cultures. Happy WW! Thanks Cathi. I love to travel to new places also. So many cool looking doors! I too find doors to be very interesting. My favorite is the one with the person sitting in the doorway, although the one with what looks like a smaller door in the large door is intriguing as well. Great pictures. Love the designs of the different doors. I am always amazed at how many people fit into the streets in these places. I feel so much better about all the time I have spent on Pinterest looking at interesting doors! I don’t know what it is – but I do find it so interesting and fascinating. It’s the combination of the actual “look” of the door — plus the whole idea of like you say – entering or opening up to something else. The mystery behind the door. it’s intriguing. I would loveeee to visit Moroccio sometime. I think these pictures are awesome!!!! I think eveery door is distinct, so cannot chose! I loved the doors to the Pantheon. I also loved the doors to the US Supreme Court building. I know they look similar and are not related, lol. Gorgeous doorways! My obsession is bridges. The 7th one is my favorite. Although these are all beautiful shots! Thank you for sharing them. We have that in common, my mom is fascinated with doors as well and I love architectural photos anyway, we have a lot of door photos too! I had no idea we had that in common! GREAT shots! I can’t wait to visit Morocco! Lots of beautiful photos. Every door is interesting in its own way. Loved your last line, and it really rings true! Those gates are so neat looking! Love it! I want to visit Morocco!! Moroccan doorways really are the most beautiful in the world. They are my absolute favorite! Absolutely fascinating 🙂 My favorite is the door within the door within the door! They do have cool doors! Those exotic places are so interesting. Thank you for these photos of your adventures. The Blue Gate is beautiful! It would be great to be able to visit Morocco one day. These are fabulous. It’s a toss up between the door that’s green and blue or the one with the fine details carved into the brick. All are cool. I LOVE the pictures! Old buildings like these greatly interest me! Photo number four holds all of that and the busy street actually adds to a kind of tension which is relieved by letting the eye and mind wander inwards – a sublime rendition of spiritual purpose!! They like their rounded doors! Very cool. Wow very interesting. I like the blue one.